When it comes to bunkering vessels we understand the pressures with berth allocations, timings, and crew and demurrage costs. We are flexible and organise our business to fit around these pressures hence we are known as the solution provider. This has allowed us to develop a significant bunker business across Kefalonia Island. 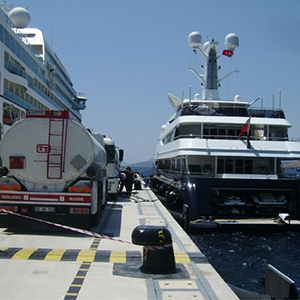 We offer bulk pipeline deliveries in all ports around Kefalonia Island with a specific focus in Argostoli, Lixouri, and Fiscardo supporting the Oil and Gas industry.